Build your dream home now. Beautiful mountain view lot for sale just off Timberline drive. This 1.6-acre lot has majestic valley and mountain views in every direction. Conveniently located within 15 minutes from Mt. Rose Ski Resort Main Lodge, 30 minutes to Incline Village at Lake Tahoe and 17 minutes to Reno-Tahoe International Airport. All corners are marked and the following utilities are stubbed to the property; electricity, natural gas, water, and sewer. Bonus-NO HOA. Are You Thinking of Buying or Selling a Home and Not Using a Realtor? BIG MISTAKE! I've always said just because I know how to put out a bar-b-que fire with my garden hose doesn't qualify me to be a fireman. As a layperson, you are buying or selling the single largest transaction you'll likely make in your life. Granted, not all agents are equal. They differ in the way they communicate, their knowledge and education, the number of transactions they do and how they conduct their business. According to Inman here are the 10 reasons you should never buy or sell without an agent. Knowledge is not power - The first thing that comes to mind is the auto valuation. 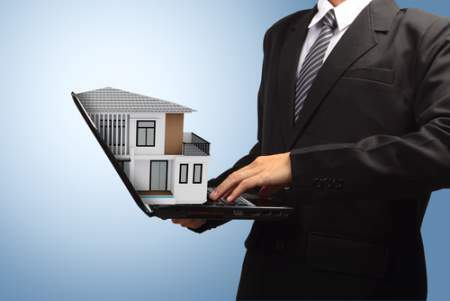 With a click of the mouse on your computer, you can easily get an automated home valuation. We provide the same service by offering our clients a Property Valuation here. That's just the first step and according to Inman, "That valuation could be significantly more or less than what your property is actually worth. Just like using the internet to self-diagnose a medical issue is not the best idea, the same applies to real estate." 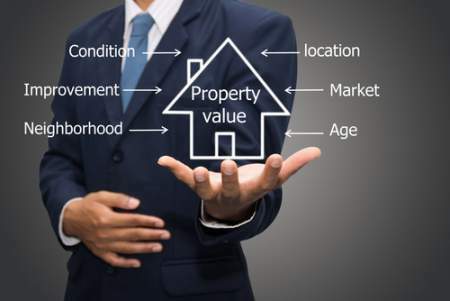 After you obtain your Property Valuation, you should really consult with a Realtor to find out the true value. What do you really know about the market? - Most sellers don't know what buyers are looking for or what they will pay for features and amenities. When it comes to marketing the demographic is almost as important as pricing your home correctly. Agents are expert problem solvers - As a home seller or buyer, there are always those situations that come up during inspections that can be a challenge. So what happens when the inspection reveals termites, mold, a roof leak, plumbing leaks or code violations? What happens when an appraisal comes in at less than contract sales price? These are issues that agents face every day. If you are selling your home on your own and encounter these situations, what are you legally required to do? What is the best practice or what can you negotiate? Overcoming objections - Agents are trained to overcome most objections. Creative thinking comes with experience. As a homeowner, you typically sell a home once every 8 to 10 years. Working with a full-time agent producing agent can sell 40 to 50 homes a year. With that kind of volume comes experience and creativity to get the job done. Effective negotiation skills are key - Negotiation is the key to buying or selling a home. Successful negotiation involves good interpersonal and communication skills used together to bring the desired result. In fact, negotiation is one of the main qualities you should be looking for when interviewing realtors nowadays. A 2-hour class doesn't make you trained in negotiations. Make sure you ask how many hours or days your realtor spent learning to negotiate. Some people have the innate abilities to indulge in a fruitful negotiation process and they have the capacity to bring a positive result no matter how challenging the negotiation may seem. Prevention and planning equal more money in your pocket - A good agent will sit down with you and explain the entire buying and selling process and what you should expect. Make sure your agent walks the property with you so you both can spot trouble. The TV realtor where they open the door and let you roam the property by yourself is NOT reality. Marketing expertise is needed to sell your home - The days of putting a sign in the yard, putting it on the MLS and praying it will sell just doesn't work any longer. A good agent will pre-market your home and build desire just like Apple does when they come out with a new iPhone. Selling a home is like a product launch. You need to create excitement and buzz that way you not only get the highest offers but the best offers. Social network exposure is unmatched - Social psychology tries to understand group and individual behavior when reacting to or thinking about the social environment. The use of social proof is used every day with online and offline market. If you want proof just look at Amazon or Yelp Reviews. People make buying and selling decisions all the time based on social proof. Great connections are key - When you are selling a lot of properties it goes without saying problems come up and you find solutions. Agents are experienced in finding the right person for the job. Trust and experience are your best friend with buying or selling - At the end of the day it comes down to asking the right questions and doing your homework on the agent. During March 2019, the Reno-Sparks market had 490 sales of existing single-family homes; a decrease of 19.3 percent from March 2018 and a 22.5 percent increase from one month ago, February 2019. The median sales price for an existing single-family residence in Reno-Sparks in March 2019 was at $355,000; an increase of 0.4 percent from March 2018 and a 2.4 percent decrease from February 2019. Single Family home inventory increased by 19% from March 2018 to 975 which was down 11.7% from February 2019 homes. Days to contract decreased 15.8% from February 2019 but was up 41% from March 2018. This is common when inventory is low. Not shown is months supply of inventory for March 2019 was at 2 months which was a significant drop of 27.9%. However, that was a 48% increase from a year ago in March of 2018. All sales numbers fluctuate the first 2 weeks of the month. These current numbers represent the market as of April 14, 2019. All sales are for existing “stick built single-family dwellings” only and do not include condominium, townhome, manufactured, modular or newly constructed homes. This top floor, Silver Creek, 2 bedrooms, 2 full bath condo has 930 sf. It is the perfect home for young couples searching for their first residence as well as families seeking an affordable housing option in the greater Reno-Sparks area. Located only minutes to downtown and close to the university plus you have great access to shopping, restaurants, and nightlife. There are two nice size bedrooms at opposite ends of the condo for privacy. The clubhouse has a complete gym that will rival the best sports clubs in town. There is a full-size swimming Pool and Spa, billiards room, kitchen and tanning bed. Call Kalika, Mike or Shaina at (775) 800-7002 to get the list sent directly to you. or call Mike or Shaina direct at: (775)-800-7002. As of March 2019, there are 110 homes for sale in South Meadows. If you are thinking of selling this spring you need a solid strategy and a professional full-time real estate agent. There are currently 110 homes for sale in South Meadows. That includes Double Diamond and Damonte Ranch. If you are thinking about selling your home and you live in South Meadows how are you going to get your home sold this spring when you're competing against 110 homes for sale... and that doesn't even include the new construction homes from Toll Brothers, Lennar, DR Horton or DiLoretto. 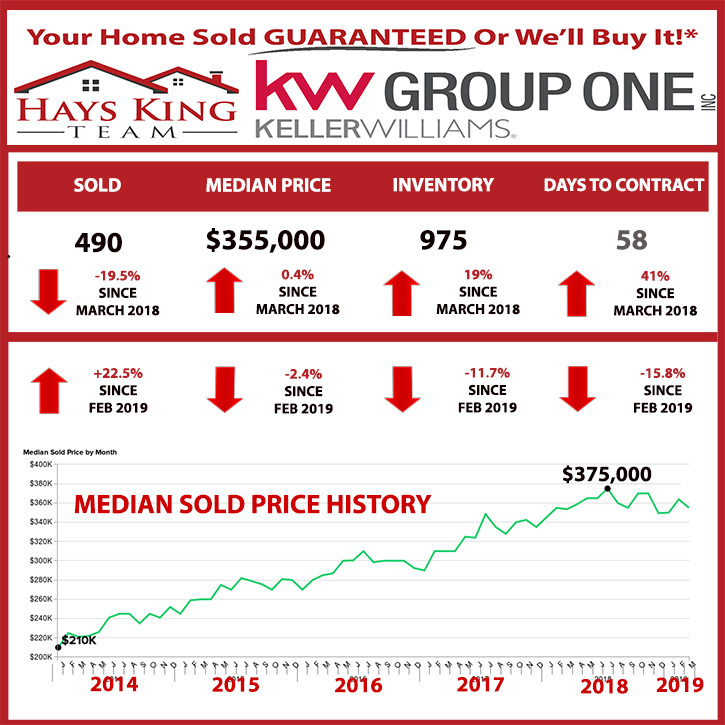 The Hays King Team will get your home sold fast. That’s not an empty promise or braggadocio. It is a fact. In hot markets or slow markets, in every part of town, The Hays King Team selling speed is legendary. "Mike and Shaina were amazing! I would recommend them to anyone buying or selling a house. They answered all our questions and made it as stress-free as possible. They were a pleasure to work with! Thank you for selling our house quickly and finding our dream home!" The median home price in Reno-Sparks, Nevada climbed to $365,000 in February — reversing a prior three-month downward trend. February’s median sales price represents a 4.3 percent increase over January’s median and is up 2.8% from a year ago. Home sales climbed for the month. 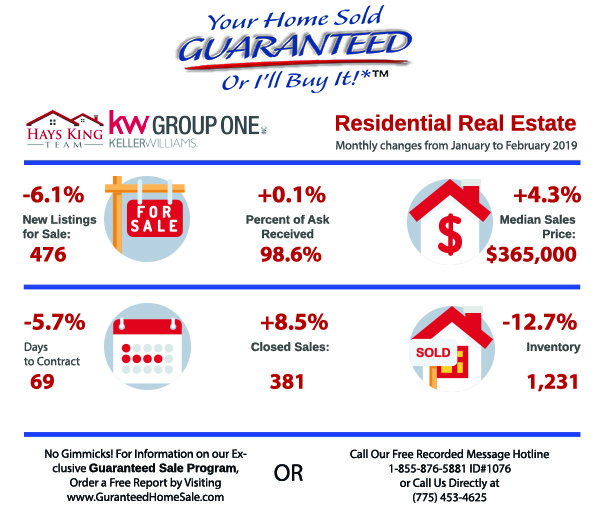 February’s 381 homes sold represents an 8.1 percent increase from January. New listings to the market are down 6.1% to 476 and that's a 23.6% decrease from February 2018. Days to contract are down 5.7% to 69 days and the percent of asking to received sales price is slightly higher to 0.1% or 98.6%. Regarding inventory, presently 1231 homes are available for purchase in the Reno-Sparks market. This number is down 12.7 percent from this time last month. Year over year, surprisingly, the number of homes available to purchase is up 73.3% from February 2018. That being said, despite the number of homes currently available for purchase, the experts are still saying the lack of affordable inventory remains a problem. The February market report will remain in flux until all of the final numbers are in which should be around the 7th of March. If there are any changes we will update this page. Our "Guaranteed Sale" program solves this. Call our free recorded hotline to get the details at FREE Recorded Message: 1-855-876-5881 ID#1072. You've found the home of your dreams, been pre-approved for a mortgage, made an offer to the seller, and soon you'll accept the keys. Congratulations! 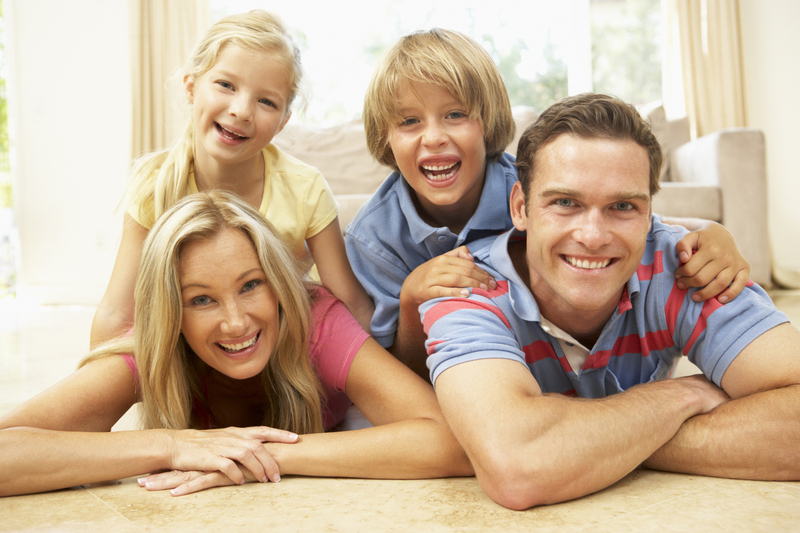 You may begin to feel some anxiety if you’re unsure about closing day and the costs involved. The best way to conquer that anxiety is to gain some knowledge about closing costs. 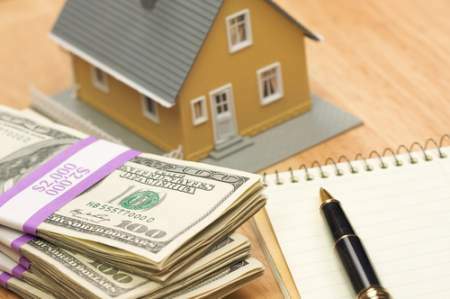 Closing costs are additional to the down payment, legal fees, and monthly mortgage payments. They typically add up to 5% of the purchase price of a home. Payment of these costs by the buyer closes the deal so that ownership of the residence may be legally transferred. Your real estate agent and lawyer will go through likely scenarios with you to give a sense of how much money to set aside for closing. But these costs won't be finalized until just prior to the final transfer of ownership. It's sometimes possible to roll closing costs into the cost of your mortgage, though this may affect the terms and schedule for monthly mortgage payments. In some instances, it may be possible to negotiate for the seller to pay some or all of the closing costs, though this too may result in a slightly higher purchase price. Different rules apply if you are buying your home with the assistance of the FHA or USDA, so be sure to ask if there is relief offered for closing costs. 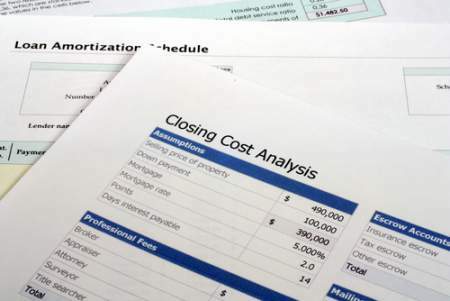 What are closing costs based on? Closing costs can vary depending on the purchase price of the home, its location, and local regulations and bylaws. 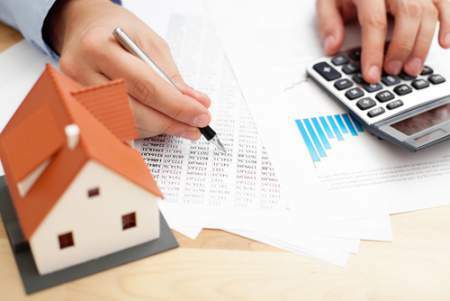 Land transfer taxes are calculated using the final home purchase price, for example. In some areas, costly home inspections may be required; in other jurisdictions not necessarily. A knowledgeable local real estate agent should have a good idea of what will be involved. Even so, prepare for surprises. An itemized list of closing costs is typically offered to the prospective buyer twice. The first is an estimate of anticipated costs and it's triggered when you make an offer. A second, often substantially different, list will arrive closer to the closing date. It can be different because the circumstances of each sale are unique. 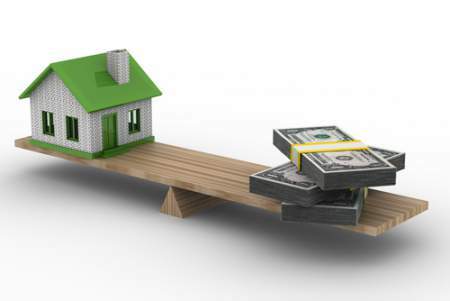 For example, certain legal and administrative costs and disbursements will increase if a purchase or property title transfer is not straightforward for some reason. Even if things remain simple, additional costs can add up. Don't be afraid to challenge each item or ask for an explanation if the initial estimate and the final closing cost list total are far apart. Some legal and financial professionals expect the buyer to assume the cost of every courier delivery or postal charge. They may be persuaded to remove some of these costs with push back. It's wise to estimate generously and free up some dedicated cash ahead of time to avoid last minute financial scrambling. What are typical closing costs for buyers? title insurance: you may have to pay this to protect your lender from errors on the title to your home. Owner's policies that cover you in case there's an inaccuracy on the title might be optional. Which closing costs are tax deductible? Most closing costs are not tax deductible when you purchase a home. But be sure to keep records of each item to be paid – because a few can be claimed. In the year of purchase, for example, mortgage interest and some property taxes may be tax deductible. In some cases, mortgage insurance premiums may also be deductible (both for the year in which you purchased your home AND going forward) – check with an accountant or real estate lawyer to find out if this could apply to you. Today’s buyers are technologically savvy and able to pull up real estate listings with the tap of a finger. Gone are the days of placing a simple for sale sign in your yard to gran the attention of potential home buyers. You need a professional on your side with the experience and knowledge it takes to sell your home for the most return on your investment in the least amount of time. Consider everything you know about the real estate market, real estate laws, internet marketing, open houses, staging, and offer negotiations. Stack that up against a professional real estate agent who sells homes just like yours daily. It’s easy to see why it would be beneficial to have a qualified real estate agent on your team. The internet makes it easy for people to access information about homes that are on the market, and you want your property to be at the top of their search list. To make this happen, your real estate agent will use online listings and social media outlets to reach potential buyers. They will also use time tested methods that reach people in your community. Your real estate agent can help when it comes to getting professional photographs for your listing, staging your home properly, and increasing interests through open houses. Setting the right asking price for your home is one of the keys to a successful sale. Your real estate agent will create a comprehensive report to help you figure out your home’s value. You’ll want a real estate agent working on your behalf when offers come in and it’s time for negotiations. How to find a real estate agent to sell a house? What are some questions I should ask a real estate agent? We look forward to sitting down with you to create a successful marketing plan for your listing. During that time, we encourage you to ask us any questions that you have related to the sale of your home. Here is a list of possible questions to get you inspired when thinking up your own. What if I want a different real estate agent? If you feel that your real estate agent isn’t providing you with the right service, it’s a good idea to speak with them directly. The issue may be resolved quickly if it’s a matter of a misunderstanding or miscommunication. If you do find that you simply prefer to move on to another agent, it’s best to alert your current agent as soon as possible. How to exit that relationship will depend on the contract signed when you chose them to sell your home. Should I hire a friend or family member? While it may seem like a great idea to work with a family member or friend who is a real estate agent, choosing to do so may cause problems. Selling a home can have stressful moments, even with the best of intentions, and this stress can cause a strain in personal relationships. You may not feel at liberty to be open and honest with someone who is a family member or close friend for fear of offending them. Working with a real estate agent with no personal ties frees you from the need to tip-toe around when you feel something needs to be addressed. The road you’re traveling on is taking a different turn, and it’s time to sell your house. Stepping into the home selling process without some basic knowledge can cost you time and money. Here’s some helpful information that we hope will serve you well as you begin taking steps to put your property on the market. Follow these six steps to selling a house, and you’ll be on your way to a successful transaction. You’ve come to the right place! We’ve taken special care to create an environment for our clients that’s as stress free as possible. We understand that times like these can produce additional stress, and we are dedicated to providing you with a sense of stability and calmness. We’ll work with you to create a marketing plan that uses time-tested methods and the newest technology to reach as many potential home buyers as possible. Check out the other steps involved in selling a house and give us a call at 775-453-4625 to talk with us about your listing plan. You want to present your property in the best light when opening it up to potential buyers. Spark their interest from the beginning by creating an appealing outdoor area. Your goal is to make them so impressed with the outside that they can’t wait to see what’s inside. Start by putting away any distractions such as tools, riding toys, and excess decorations. Freshen the bedding in any flower beds and consider painting the entrance door a bright and welcoming color. Once inside, pay special attention to kitchens and bathrooms. These rooms tend to get a great deal of attention because they are two of the most used room in the house. Organize cabinets, closets, and pantries. Remove all personal photos, collections, and themed décor. You want your home to be a neutral zone when it comes to paint and decorations. Your home needs to appeal to a broad range of potential buyers, and creating a neutral space is a good step in that direction. Start by getting a general idea of what your home is worth. You can do this by putting a few basic details into our home value calculator. This calculator will return an estimated value of your property. We’ll put together a more comprehensive report that factors in market trends, other properties like yours, and any upgrades you’ve made to your home. This comprehensive report can be used as a reliable guide when setting the asking price. Keep in mind that the asking price and the selling price of a home are two different things. The asking price (or listing price) is the amount of money you hope to receive from the sale. The selling price is the amount of money a buyer is willing to pay for your property. You want these two numbers to match as closely as possible or have a selling price that is greater than your asking price. As your real estate agent, we gather any offers presented for your house and send you an alert. When you receive an offer, you have several options available. You can accept the offer, decline the offer, or send back a counter-offer. Two of your options are straight-forward, but we will head to the negotiation table on your behalf if you choose to send a counter-offer. Once we deliver your offer, the buyer will respond by accepting, declining, or sending back another offer. The ball is back in your court at this point, and you can decide to accept or move on to another offer. Once you accept an offer, representation for the buyer will begin to set up appointments for inspections and appraisals that are needed. If everything goes well with inspections, you offer agreement stands and things move forward toward closing. If something comes back as an issue during an inspection or the appraisal, the offer may need revision. Don’t worry. We’re here to work on your behalf and handle the details so you can rest easy and have as little stress as possible. Closing day is when all paperwork is signed, money is exchanged, and the new owners take possession of the property. Though it is referred to as closing day, this process may take a couple of days, depending on the situation. We’ll be with you every step of the way to make sure you understand the process and feel comfortable with the closing steps. One of the most important steps to selling your home is setting the asking (or listing) price. Set this price too high and your home will sit on the market with few nibbles. Set this price too low and you end up losing money on your investment. There are several things to consider when pricing your home to sell. The asking price is also known as the listing price. This is the amount of money you’re hoping to get from the sale of your property. In order to set this price, you’ll want to know the value of your home and seek the advice of a real estate professional. In the end, however, the price you choose is your decision. The selling price is the amount of money that a buyer is willing to pay for your property. If there’s competition for your home, you may find that this amount exceeds your asking price. That’s not a bad place to be. Rather than coming in below your asking price, you want the amount of the selling price to be as close as possible to the asking price. To get a basic idea of your home’s value, it’s a good idea to use our home value calculator. You’ll input a bit of information and receive an estimated value of your property. While this is just the first step, it will give you some insight as you move forward. We’ll provide you with a more comprehensive report that takes other factors into consideration. We’ll look at the current real estate market and trends. We’ll consider other homes that are like yours that have recently sold in the area. We’ll also consider any upgrades or renovations you’ve completed that may impact your home’s value. We’ve already mentioned the comprehensive report we’ll provide to help you determine the value of your property. Once we have the comprehensive report, we’ll take it a step further by sitting down and looking closely at your competition. This is where we can save you valuable research time because we have the information at our fingertips. We’ll check the last three months of sales and see which homes were sold at listing price, which homes had to lower their price, and which homes brought in more money than their asking price. We’ll off you the best advice based on our experience and knowledge of the real estate market for this area. However, it’s always your decision to set the listing price. There is something you’ll want to consider in addition to the value of your property. Emotional attachments and memories do not hold a monetary value. For this reason, it’s a good idea to set aside emotions and try to remain objective when setting the asking price. Thoughts about your investment of time and emotions can create a desire to increase the price that is based on sentimental attachments. Remember, setting the asking price too high can result in your property sitting on the market. You’ll save time and money by remaining objective during the price setting stage. When offers arrive, you’ll have the choice to accept, decline, or send back a counter-offer. If you accept or decline the offer, things move forward in a straight-forward manner. However, if you choose to respond to their offer with an offer of your own, we’ll be visiting the negotiations table on your behalf. That’s right. We’ll be doing the work for you here so that your days are spent as stress free as possible when it comes to the home selling process. We’ll use of skills and experience on your behalf and come back with an answer. The potential buyer will either accept, decline, or send back a second offer. At this point, you’ll have the final say. If you have more than one offer on the table, you may need to consider each carefully. It’s wise to consider financing options and check to see if the buyer is pre-approved for a mortgage loan. It may be in your best interest to accept a cash offer over a financed offer. We’ll discuss each offer with you and point out pros and cons with each offer. Again, the final decision is yours when it comes to accepting an offer or negotiating with a buyer.